It’s 11:00 in the morning, and I feel super guilty. All I’ve gotten done since dropping my kids off at Parent’s Day Out almost two hours ago is a 30 minute jog and a shower. As I sit here looking around my living room, there are no less than twelve loads of clean laundry that need to be folded. The dishwasher is full of clean dishes. The sink has dirty dishes. The breakfast table still has remains of breakfast as does the floor under the high chair. The rugs need to be vacuumed, the floor needs to swept and, at least Swiffered, if not actually mopped. But all I’ve done is jog and shower. I am the queen of feeling guilty. I feel guilty for everything. I feel guilty for the way that I spend my time. I feel guilty for the way that I don’t spend my time. I feel guilty for feeling guilty! Guilt is just sort of who I am. It’s not who I want to be, but it seems to just be this inextricable part of me. I can’t remember a time when I wasn’t filled with feelings of guilt. 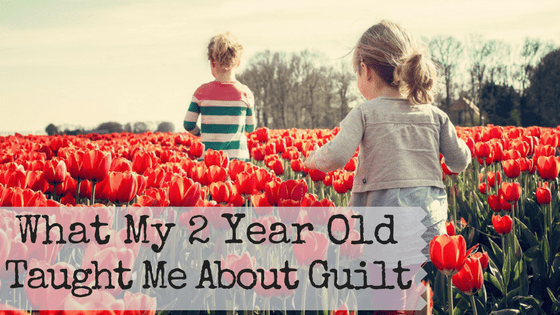 When other people started talking about “mommy guilt,” I felt such a huge relief to know that I wasn’t alone! But yesterday during a conversation with my two year old, I was struck by a profound realization. I think sometimes God gives children words of wisdom because we might not hear them; we might not listen, if they came from someone older and wiser whom we expected to be filled with good advice. 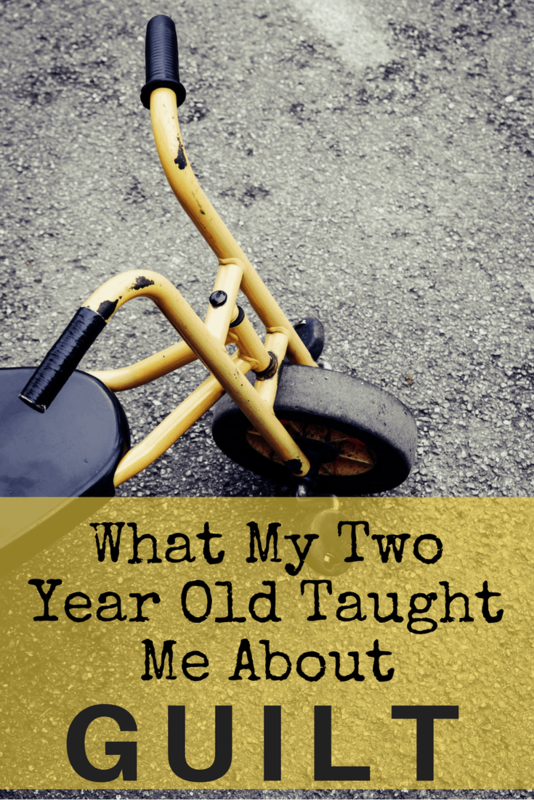 Because when your two year old says something that makes you stop and really think about it, then you have to listen. Baylor and I were talking as I was getting her dressed in a shirt covered in tiny, colorful hearts. But I stopped before I could say it. I would never want her to feel that way about herself, and I know I shouldn’t feel that way about myself. And in that moment I realized that I’ll never be able to raise girls that find themselves to be worthy of love if I don’t model that I’m worthy of love. If I don’t model that I am important, and that it’s okay to take two hours of your day to jog and shower, then how can I ever expect them to think it’s okay? Because logically, I know that it’s okay. I work really hard most of the time. Home making is hard work. I often feel like I was more rested when I had a full time job. So, I know that’s okay for me to take the time to put on all of the running gear, do a thirty minute jog, lie in the floor under the fan when I get home, wrestle myself out of the sweaty sports bra, and take shower where I actually condition my hair and shave my legs. The problem isn’t that I actually believe there is anything wrong with how I spent my morning. The problem is the voice in my head telling me it was selfish and that I could have used my time more wisely. But if I am constantly behaving in a way that shows I don’t believe myself to be worthy of doing things just for me, then isn’t that what I actually believe? Because I don’t want my kids to think that I’m not worth taking care of. I want to be viewed as a strong woman worthy of admiration and emulation, but I can’t be that if I don’t love myself. So I’m going to start today. I’m going to make a conscious effort to not give into that mommy guilt. I’m not going to let the devil poison my mind with feelings of guilt. I’m going to model for my girls (and boys) that it’s okay to do things you love for no other reason than that they make you happy. I’m going to show my kids that it’s okay for me spend the entire 4.5 child free hours I have today doing things just for me. It doesn’t make me a bad mom to do those things instead of all of the pressing things that “need” to be done. In fact, maybe it makes me a better mom. Maybe taking time to recharge is the best thing I can do for my kids today. I know that when my kids get home later, I’m going to feel fresh and rejuvenated and strong and happy. Exercising and showering always put me in a good mood unlike cleaning (which usually leaves me feeling a little grumpy). I know that the cleaning will be there for me tomorrow. I can tackle it with kids underfoot while we listen to Toddler Jams on Pandora. I’m not suggesting that I’m going to quit doing the laundry and cleaning forever, but rather that I’m going to take a break from it today because that’s what I need. I love jogging, and I am going to make it a priority to let my kids see me taking time to care for my body. My body has grown and nurtured four amazing little humans. It deserves to be cared for. By doing this, I am showing and not just telling my girls that exercise is important for their bodies and that they’re worth all the time it takes to do it. I will show them at lunch that it’s okay for me to take care of myself and make a healthy lunch. I will actually sit down to eat rather than eating some left over graham crackers off of Dutch’s tray and a cold slice of pizza while trying to load the dishwasher. I will show them that their dad is worth my time. When he gets home, I will drop everything and run to hug him because I am that excited to see him – much more excited than completing something on my never ending to-do list. And although I love the way my bullet journal looks at the end of the day with everything checked off, I love more the way my kids look sitting on our couch surrounded by piles of unfolded laundry while we read a book together. And so, I will realign my priorities, and I will silence the voice in my head because I am forgiven. I am a child of God. I cannot be a light in the world if I am constantly feeling guilty. 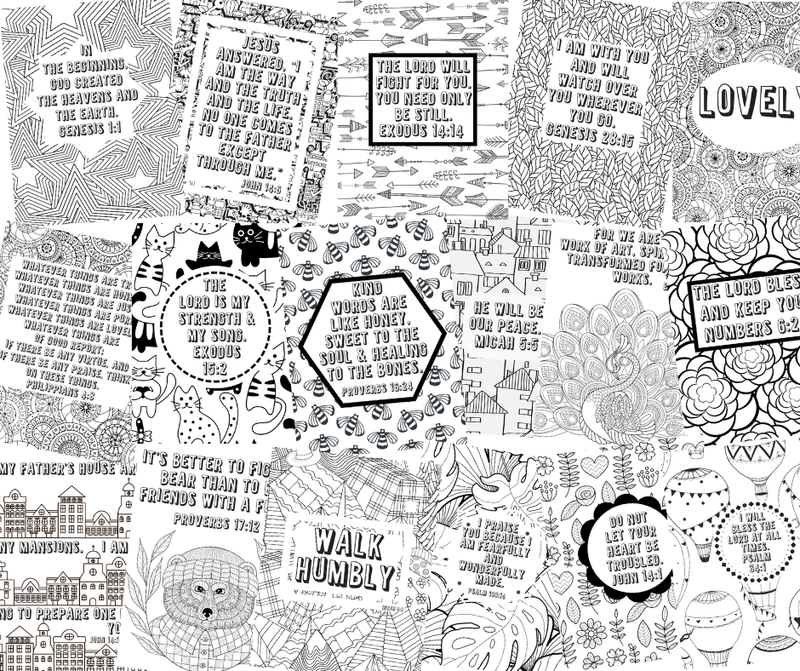 What things have you had to put aside to make time for yourself? Very good advice. You are worthy and very loved!